Attorney Kelly W. Decker has been named a Shareholder at Decker Jones McMackin McClane Hall & Bates, P.C., Texas, the firm has announced in a press release. Decker’s practice focuses on family law and civil litigation. 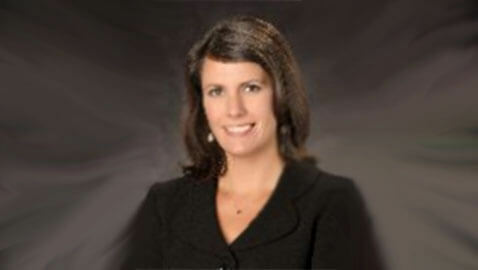 She specializes in complex divorce cases that require experience and knowledge in real estate, business and probate law. Her background is distinguished by years of trial and appellate experience in real estate, oil & gas, contract and fiduciary duty litigation. Additionally, she represents businesses in varied litigation matters and serves as outside general counsel to the needs of small- to medium-sized local businesses. Decker received her Bachelor of Arts degree from The University of Texas in 2001 and her Juris Doctor from Texas Tech University School of Law in 2005. She is admitted to practice before the State Bar of Texas and the United States District Court, Northern District of Texas. She is a member of the Texas Young Professionals, Fort Worth Chapter, and was Executive Director in 2010. She also is a member of the Tarrant County Family Law Bar Association and the Tarrant County Bar Association. She has been selected a “Texas Rising Star” by Texas Monthly magazine from 2009-2012 and was recognized as a Tarrant County Top Attorney” by Fort Worth, Texas magazine from 2005-2012. Decker is an active member of the local community. She was a founder of Love Our Local Animals (LOLA) and was its President, is a member of the Junior League of Fort Worth, on the board of the Multicultural Alliance and a volunteer with Catholic Charities.